The newest club at the Park MGM Hotel in Las Vegas. This night club is a calling to music lovers. With a hidden entrance off the casino floor and three rooms, both indoor and outdoor areas, and plenty of room for dancing and relaxing it makes it a perfect night club to visit using our free and reduced VIP Guest list or reserve a table. Once you take the escalators up you’ll recognize how this club stand out from the rest. Designed to reminds us of a speakeasy and underground club rolled up into one. The table service areas provide plenty of space, Guests will be treated to live music and DJ performances. The first room provides plenty of space and welcoming bars. When you turn the corner and enter the second room you are greeted with a substantial outdoor area with a double-decker bus! So don’t miss this experience, signup now for our free and reduced entry guest list. 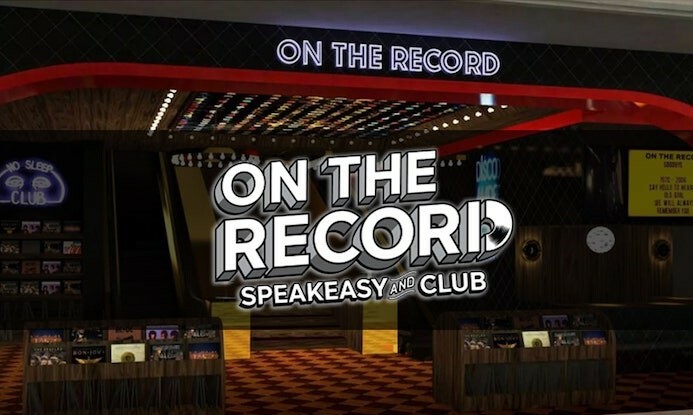 The entrance to the On The Record Club is in the casino area of the hotel not far from the entrance off of Las Vegas Blvd. It is located right next to the Best Friend Restaurant. How Much Is On The Record Cover Charge non VIP Guest list?